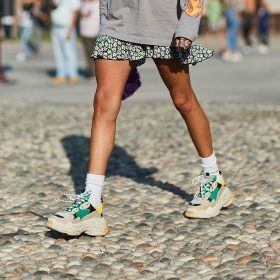 Women's sneakers have become our best friend, so we're sure they've become yours too. How many of these pairs have you got in your closet? Regardless of the number, we can't ever have enough of women's sneakers. Crisp white sneakers for summer with a mini skirt or dark blue with black pants in winter. For going out, working out, chilling out, eating out or to the office, wear your sneaker everywhere. We promise, you won't be the only one doing so.